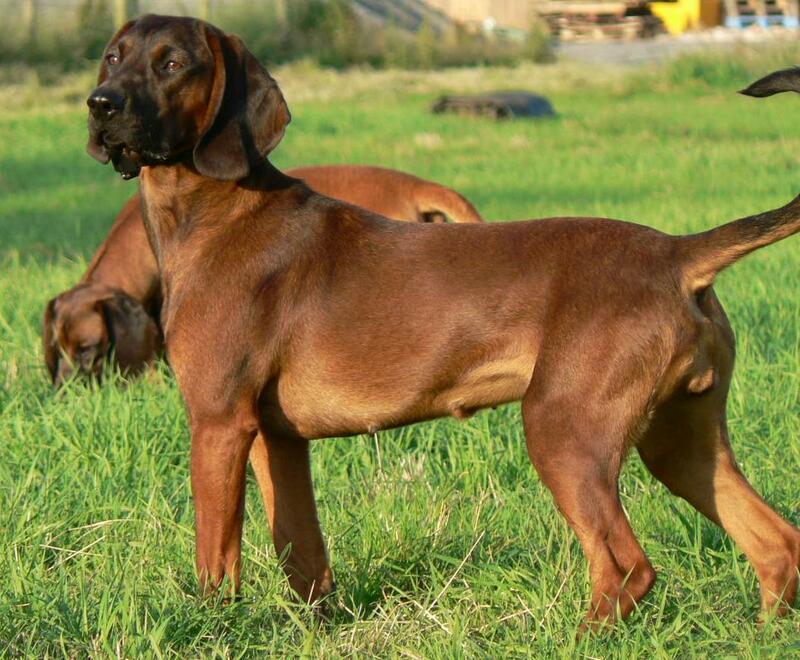 Bavarian mountain hound is the hunter dog well known for its courage and spirit. It is called the master of hunting owing to its amazing hunting instinct and a superb smelling sense. 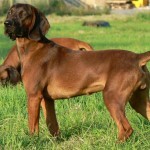 This breed has been largely used in Germany to trail the wounded game during the middle ages. They are very quiet and calm dogs devoted to his master. Training of hound should be started at early age since it takes long time for getting trained. 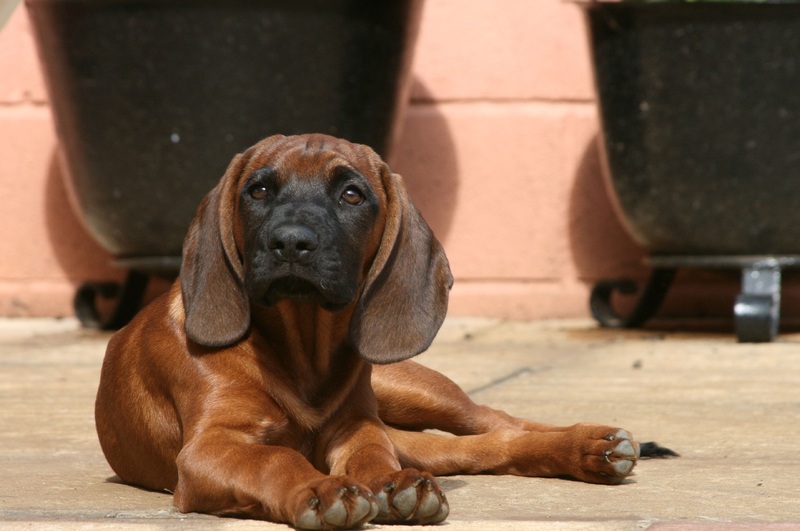 Having its origin from Germany, Bavarian mountain hound largely used by professional hunters and forest rangers. It is not suited to live in an apartment since it requires lots of space and vigorous exercises. 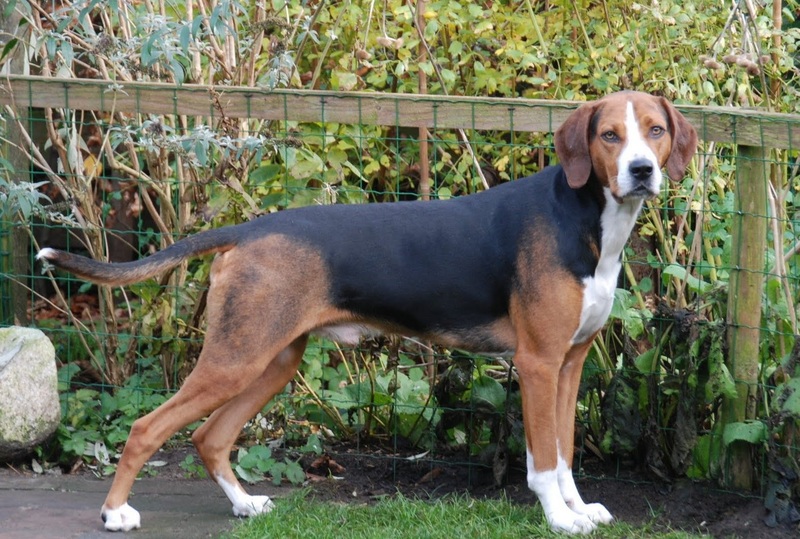 It looks very much like that of scent-hound breeds of German and its ancestor Hanoverian hound. The size of average male breed is anywhere from 18.5-20.5 inches and for females it is 17-19 inches tall. 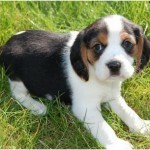 The weight of BM hound is 30-35 kg depending on the gender and breed. 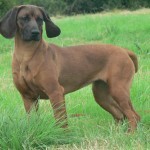 This breed is extensively lengthy from the chest region to the rump when compared to its height from the ground level. 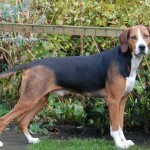 However it is not as short as that of basset hound. 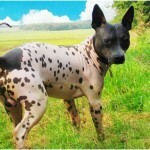 Most of the breeds are bi-colored having red face with black skin. Some are of biscuit color and full red color. There are also varieties of brindle and black masked fawn. 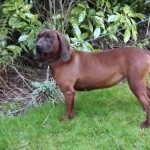 Bavarian hound is truly athletic and loves to do lot of exercises and playing. Daily walking is a must for these dogs and the owners can take them for walk for 45-60 minutes daily. You should not let them free unless the location is safe since they are tempted to follow any smell and get caught in danger. 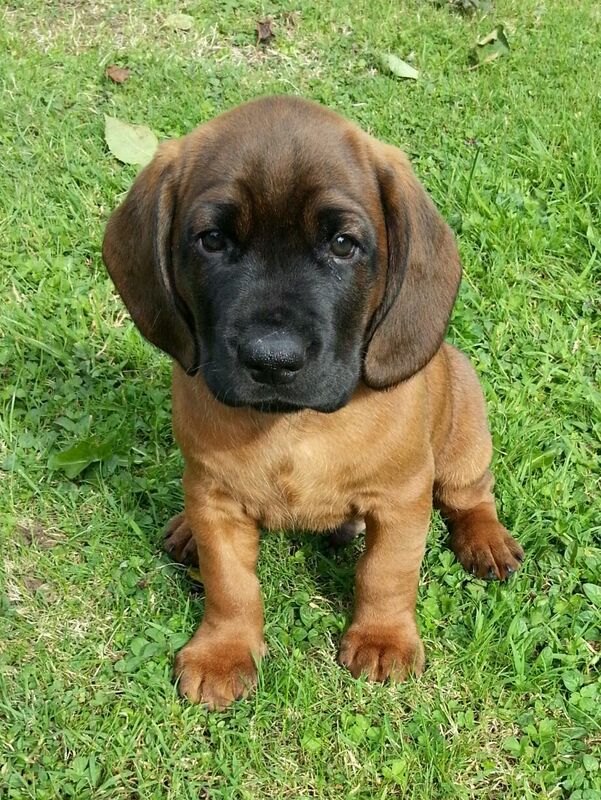 Anything goes well for Bavarian mountain hound according to the family in which he lives. It requires 2-3 meals a day rich in protein and nutrients. Consumption of diet is directly proportional to the level of activity. City life is not well suited for BM hound and it will be at its best in forest areas and gardens where there is lot of chasing and hunting activities. 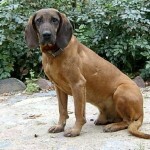 Bavarian mountain hound is intelligent and courageous dog very attached to his master. Most of the times he stays quiet and calm except during hunting hours they become fast and agile. They can easily chase enemies even on rough surface and run fast to catch them. 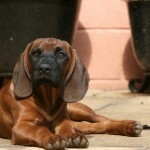 It is difficult to train these breeds and you are sure to start training them at early ages. It would be better to take help from professional trainer for getting positive results. You need to keep him leashed when you are taking him for a walk since it is prone to distraction. Mountain hound is largely used for tracking blood and its nature is very much like that of working scent hounds. These breeds cannot tolerate loneliness and need to be kept in close company of the family. They are loving in nature and devoted to the family members. They are very shy in nature but can be socialized if properly trained. It has an innate drive to chase animals and hence under the risk of attacking or killing them. It will stay active only when you schedule exercise regimen for him daily. They can become violent and aggressive if not given enough physical activity. 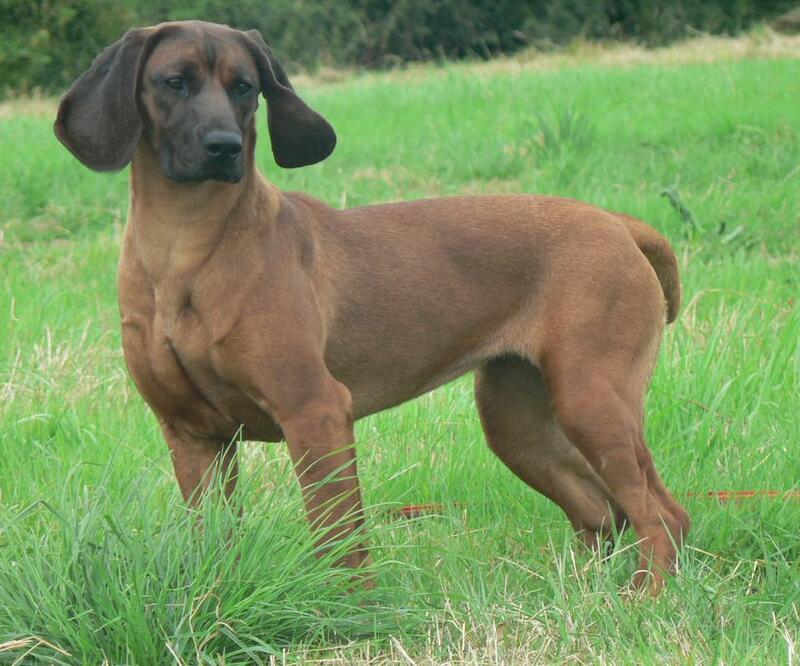 For owners who love to go for long walk or jogging, Bavarian mountain hound can be the best partner. If you want your dog to be calm and relaxed then you need to provide him ample activity to keep him balanced. 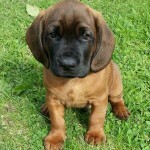 Bavarian mountain hound can yield 8 puppies in one season. It has a thick shining coat attached closely on its body. The hair growth is less on its head and ears and more on its stomach and legs. Its head is lengthy and strong with a broadly placed skull. It has a sharp nose suited for its smelling sense. Its jaws are powerful and have fully covered lips on his mouth. 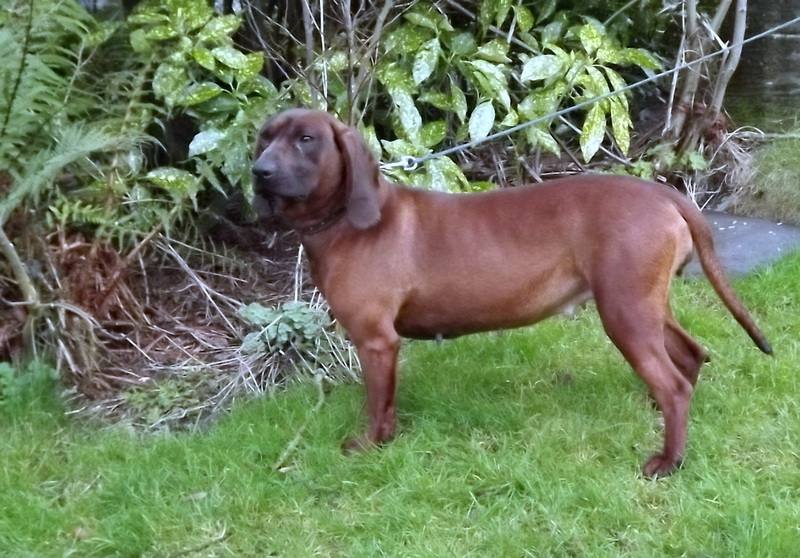 The nose is either dark red or black depending on the color of the breed. 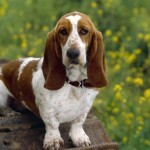 Unlike the basset hound, the ears of these dogs are medium in growth and do not touch the ground when they are eating. Likewise, the head and face of this breed is proportional to its size but somewhat smaller than other scent-hounds. One can say for sure that these breeds are longer in size than its height. Its ribs are not round but oval shaped and deeply placed. Its head is broad and looks arched and its muzzle is smaller than its head. Its lips look like a pendulum with increased saliva. Its eyes are not very big and are of different colors. Its coat is dense and harsh and looks glossy. The coat will be very fine on its head and ears and harsh on other parts of his body. This breed does not require much grooming. Occasional brushing is enough for keeping it clean. However the owners should regularly clean their ears failing which it can get infected due to leftover food particles and dirt. They have good sized nose with well opened nostrils. Its nose is dark red or black in color. 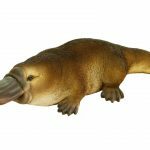 Their muzzle is shorter than the skull and broad with even nasal bridge. They have strong jaws with complete scissor bite teeth. Its eyes are neither too big nor roundly shaped but have well fitting brown eyes. Its coat is dense and closely packed on head region and harsh and long on its belly and tail regions. 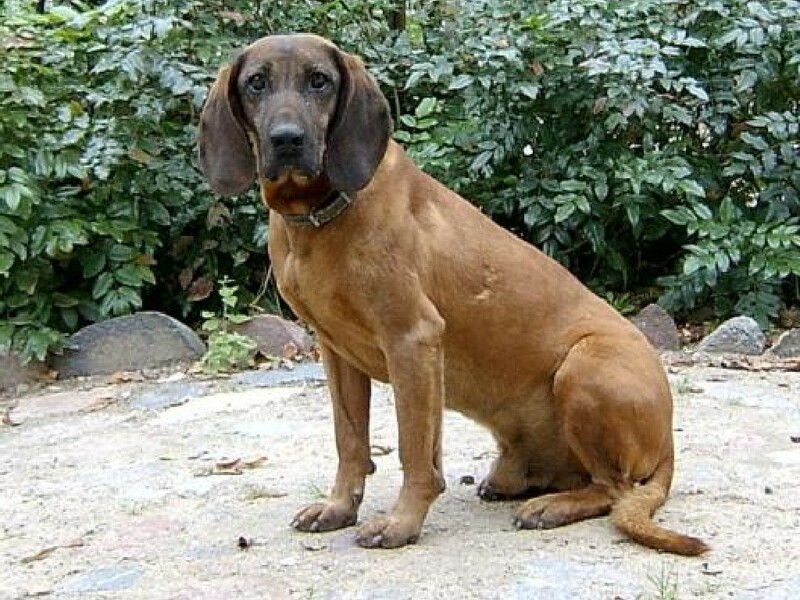 Bavarian mountain hound is reddish brown or deep red in color. Some of them are of biscuit colored with dense covering of coat like a deer. Hip dysplasia is the most common problem among this breed and hence make sure that you are making skeletal test before buying them. It is reported that over 25% of this breed are normally affected by hip dysplasia. It is wise to conduct genetic tests for the offspring to find out if they have any orthopedic or eye related issues in advance. In addition, these breeds are prone to get ear infection, progressive retinal atrophy or retinal dysplasia. Its average lifespan is 10-12 years.